I don't know if it is of great importance, but I like to know the sizes of things so I decided to measure Ultra Wire. 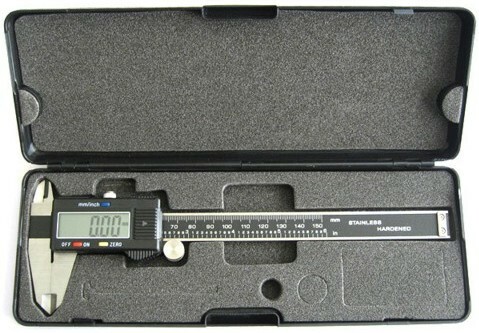 I measured with a pair of digital calipers for the following sizes "XSMALL", "SMALL", "BRASSIE" & "MEDIUM". See the chart below. The chart below has the weight of each wire gauge and from what I see, copper wire simply does NOT add significant weight to flies. Thanks for saying what I've experienced regarding copper wire (that it doesn't add significant weight). I think people see their nymphs sinking faster with wire bodies because of reduced resistance compared to a dubbed body, not extra weight. I'm sure one could tie and fish a parachute brassie and have it float just fine, as long as it was tied well. it is quite puzzling why tyers think copper wire will add significant weight to nymph patterns when all it really does is provide some nice segmentation and a little bling to the fly. maybe wrapping a couple of layers of copper wire might add SOME weight. 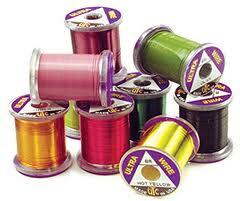 weight your flies with lead wire or lead strips. Hello, I love reading through your blog, I wanted to leave a little comment to support you and wish you a good continuation. Wish you best of luck for all your best efforts. Switchgears, copper wire.